Milk hojicha or hojicha latte is milky and smoky. It tastes almost like milk tea, only a bit lighter. 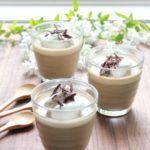 This milk hojicha pudding can be a light dessert after Japanese themed dinner. You can use soy milk instead of regular milk.
) Dissolve the gelatine in the water and set it aside.
) In a small pan, combine the milk and hojicha and cook over medium heat.
) Right before boiling, remove from heat and dissolve the brown sugar. Add the heavy cream.
) Dissolve the gelatin and mix well.
) Strain the milk hojicha through a tea strainer and pour the mixture into cups or glasses and chill them for 4 hours.
) *Decorate with whipped cream and shaved dark chocolate (both extra) and serve. Lilac is in season and so is iced mecha. 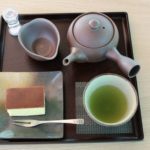 This tea contains green tea powder made of new leaf buds, which are packed with a natural umami component called theanine. It has a deep green color and a strong, yet rounded flavor. This tea is our number one seller! Put 5 mecha teabags in 1 quart of cold water and set aside for 30 minutes. Take the teabags out, squeezing them gently. Stir before serving. Mecha and lilac are in season. 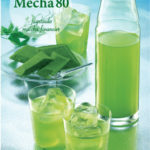 Ice cold mecha is refreshing! 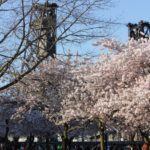 Jugetsudo is going to participate in the Northwest Food Show at Portland Expo Center on April 22nd (Sun) and 23rd (Mon) at Portland Expo Center! It has been a year since Jugetsudo teas became available at Portland Japanese Garden. The Umami Cafe has been serving our teas with locally sourced sweets! In Japan, the new school year starts in April. In March, students would know the result of their college entrance exam. In olden days, when there was no internet nor telephones, there was a service of telegramming the entrance exam result to applicants who lived farther away. Even such telegrams for test results are poetic in Japan! Cherry blossom is sakura in Japanese. In kanji, it is written as 桜. This is the simplified version of the kanji, and the traditional kanji was櫻. In this original version, the left side 木, is a tree, and the upper right is two 貝, which is sea shell. The right bottom 女 is a woman. The right side means a woman wearing a necklace made of sea shells. With the tree on the left side, this kanji means a tree that bears fruits that look like the beads on a necklace; cherries! Poetic, isn’t it? In Japanese, sakura means cherry plant. When talking about the cherry fruit, you would say sakuranbo. Our sakura sencha is flavored with the petals of cherry blossoms. It has a subtle fruity flavor with a touch of natural sweetness, and now is the perfect time to enjoy it. 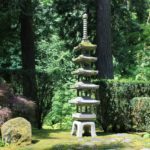 News Flash: Jugetsudo is participating in the Tea Fest PDX again on Saturday, July 21 at World Forestry Center! It was fun last year, and this year is going to be even better! Mark your calendar! Japanese love sakura, or cherry blossoms. In early spring, a cherry blossom front (going from south to north as the temperature goes up) makes big news on TV, just like a weather forecast. People look forward to their blooming, cherish them in their peak, and grieve when they are gone. In the early Heian period, in the ninth century, Ariwara no Narihira, a Japanese poet wrote, ”If there were no cherry blossoms in the world, how peaceful our spring minds would be.” Japanese have been loving cherry blossoms for centuries. Sakura sencha was created from our love for cherry blossoms. 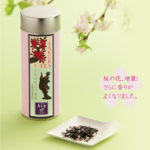 We added cherry blossom petals in our premium green tea. It is fruity and naturally sweet and now is the perfect season to enjoy it. Hinamatsuri is a traditional celebratory day on Saturday, March 3rd in Japan. It is a day to celebrate the girls of a Japanese family. Hinamatsuri is celebrated with two small dolls, usually in a sitting position adorning traditional Japanese garments. Hinamatsuri dolls are to be set out a few days before March 3rd, but should be put away the day after or as soon as possible because it is believed that girls who do not put away their dolls directly after the celebration will not have a chance to be married in their prime when they grow up. (This superstition is a bit hard to believe nowadays, though!) On a girl’s first hinamatsuri, she usually receives the dolls from her family. This was somewhat of an honor for girls back in the olden days, because the dolls were fairly expensive due to the fine materials that made them so beautiful. There is also a day for boys as well, which is on May 5th, but on hinamatsuri, the boys and men of the household are catering and respectful to the women and girls. 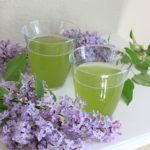 Celebrate hinamatsuri with your family with Jugetsudo’s Sukura Sencha! The 2018 Winter Olympics are now over, and the next is 2020 Summer Olympics in Tokyo! The main stadium of the Tokyo Olympics is designed by world-renowned architect, Kengo Kuma. In an interview, he said the old stadium from the previous Tokyo Olympics in 1964 was his inspiration to become an architect. As a young boy, he was moved by the beauty of the stadium, designed by Kenzo Tange and that was his motivation to become an architect. 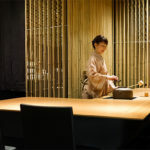 Kengo Kuma also designed Jugetsudo’s tea houses in Paris and in Tokyo. 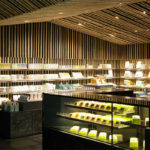 For the Kabuki-za tea shop, more than three thousand bamboos were used to create a Zen-like, serene atmosphere. 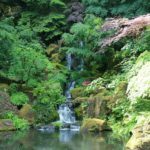 Mr. Kuma’s work can also be found at Portland Japanese Garden. 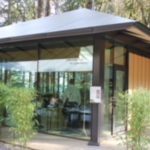 He designed three buildings in the Cultural Village, including Umami Café, where you can enjoy Jugetsudo teas. Can’t wait for the Tokyo Olympics and the new stadium!